Christopher Still, DO, FACN, FACP, Co-Clinical Editor, Bariatric Times; Medical Director for the Center for Nutrition and Weight Management, and Director for Geisinger Obesity Research Institute, Geisinger Medical Center, Danville, Pennsylvania. Dr. Still is also a board member of the Obesity Action Coalition, Tampa, Florida. The year is off to a great start, and I’m very pleased to report more exciting progress in my specialty– the number of physicians trained in obesity medicine is rising in the United States. The American Board of Obesity Medicine (ABOM), an organization dedicated to maintaining standards for assessment and credentialing physicians in the practice of obesity medicine, recently certified 429 physicians as “obesity medicine specialists.” This brings the total number of ABOM diplomates throughout the United States and Canada to nearly 1,600. • Possesses expertise in the sub-specialty of obesity medicine, which requires competency in and a thorough understanding of the treatment of obesity and the genetic, biologic, environmental, social, and behavioral factors that contribute to obesity. • Employs therapeutic interventions including diet, physical activity, behavioral change, and pharmacotherapy. • Utilizes a comprehensive approach, and may include additional resources, such as nutritionists, exercise physiologists, mental health professionals and bariatric surgeons as indicated to achieve optimal results. • Maintains competency in providing pre- peri- and post-surgical care of bariatric surgery patients, promotes the prevention of obesity, and advocates for those who suffer from obesity. With the epidemic of obesity and the comorbid medical problems, we are seeing more physicians wanting to learn more about the the disease of obesity itself and the various treatment options. Obesity medicine is coming into its own specialty, and more physicians from all specialties are going into the field. This is evident by the breakdown of new ABOM diplomats: internists (141), family physicians (123), endocrinologists (33), pediatricians (28), obstetricians/gynecologists (24), gastroenterologists (14), and surgeons (10). Even though the number of surgeons seems low, I feel encouraged that they are taking the exam. I think the obesity medicine physicians certification examination presents a great opportunity for these other specialties to learn about and become more comfortable with obesity treatments. I’m not surprised that only 10 surgeons have completed certification because it is specialty that is very time consuming and many surgeons may find it difficult to balance their surgical practice and obesity medicine. 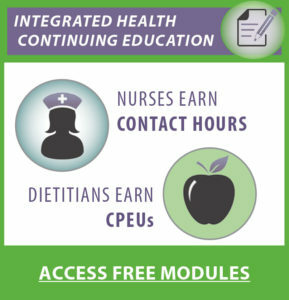 To be eligible for obesity medicine certification, physicians must be board certified and meet other requirements, including a minimum of sixty (60) credit hours of continuing medical education (CME) recognized by the American Medical Association Physician Recognition Award (AMA PRA) Category 1 Credits on the topic of obesity. The rise in certifications is also encouraging because it helps bring us one step closer to becoming recognized by the Accreditation of the American Board of Medical Specialist. This was one reason behind the combining of the American Board of Bariatric Medicine (ABBM) and the Certified Obesity Medicine Physician (COMP) into ABOM. The ABOM represents a unified front in Obesity Medicine. The real key to ABOM diplomate growth, however, is the excitement surrounding the fact that new physicians are joining us in the field of obesity. More people are seeing obesity as a disease that has safe and effective treatment options, including medications, devices, and surgery. They are taking another look at this as a true sub-specialty and furthering their education. Moreover, traditionally, medical schools have not educated physicians on obesity, so many of us didn’t have educational basis to treat it this chronic disease. It’s wonderful that people want to learn more about obesity—from the pathophysiology to treatment and long-term outcomes. Additionally, I attribute the growth of our field to the data collected on safety and efficacy of weight loss surgery. Long-term studies have shown that surgery is effective and durable. In addition, there are now SAFE and effective medications available for treatment. Patients are visiting their primary care physicians and asking about these medications. I’m truly honored to be an obesity medicine specialist and I’m happy to welcome more people to the field. When you look at the disease of obesity and all of its comorbidities and realize we have good, effective treatments, it is quickly becoming a great sub specialty. It’s so amazing to see how many people that have suffered for years with with chronic and relapsing disease of obesity finally realize significant and long-lasting treatment.